A customer reported an interesting bug that found its way to me today, and in the washup it turned out that I was somewhat directly the cause. Ouch. The problem was that anyone hosting a “Meet Now” meeting on the Trio was unable to add participants. When they pressed “+ Add” on-screen button, the phone reported “Service unavailable”, and offered no further explanation. Interestingly, I was able to dupe the issue here in the greiginsydney Lab, which at least made the testing a bit easier. Logging on SfB revealed nothing – no errors at all – and the App logs on the device also drew a blank. Upgrading the firmware to the latest release (5.8.0.15024) changed nothing. I wondered if there was a problem with the user account. The Trio was signed in as a normal user here on-prem, so I confirmed it was enabled for EV and that it didn’t have any restrictions in its conferencing policy. My other users were able to Meet Now and add participants, so that seemed to vindicate the environment. I factory defaulted the phone – nope, still faulty – and then commenced a process of elimination in the config file. Here I hit paydirt, as taking the scythe to the “custom-trio.cfg” file (slicing it metaphorically in half) and rebooting the phone resolved the issue – so I knew it was something in the config that the phone wasn’t liking. 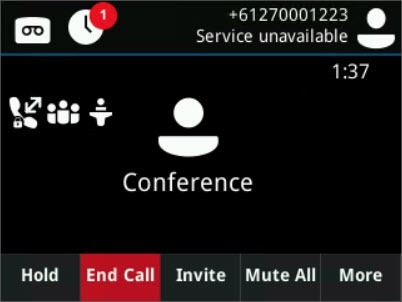 1 (default) - The feature to join a conference during an active call is enabled and the Conference soft key displays. 0 - The feature to join a conference during an active call is disabled and the Conference soft key does not display. When you try to join the Conference, an 'Unavailable' message displays. 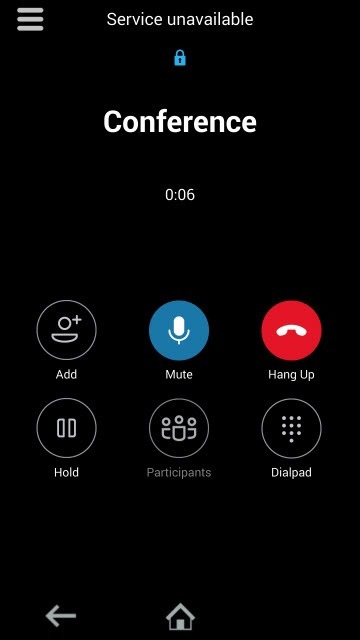 Who would have thought that restricting the phone’s ability to create local conference calls would prevent you from hosting a Skype for Business meeting? Is this a bug in the firmware? Should the phone be referencing this parameter for Meet Now calls? The Trio config file I use in my master Polycom config repo (previously here, but now resident on Github) started off as a “save-As” of the VVX config, refined for the Trio. I’ve today updated it to remove this parameter altogether. Thanks to Pav & Scott who helped with a test in their own environment, and to Mike for serendipitously roping me in on his ticket. My apologies to anyone who’s found themselves bitten by this. 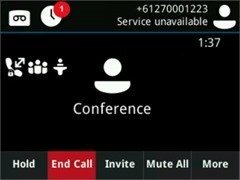 I’ve updated “customisations.cfg” on Github already to remove this rogue setting – which a Polycom source agrees should not be applying to SfB calls. 1st February 2019: This is the initial post. 2nd February 2019: Added VVX image and text.